Gutter Repair & Siding Installation in Amarillo TX | Mayfield Roofing Inc.
For over 55 years, Mayfield Roofing has provided a range of exterior home improvement services in the Amarillo and Greater Dallas/Fort Worth area. Our company is family-owned and operated and specializes in commercial and residential roofing services. We operate out of Amarillo, TX. From our beginning, our team has been committed to providing each customer with reliable, affordable services and products. 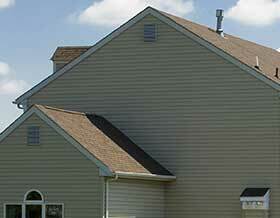 FAs part of our commitment to our customers, we are proud to provide gutter and siding services. Our goal is to help you improve your home and increase its aesthetic and monetary value. We will take the time to get to know you, your needs and desires for your home. FWhether you need your gutters cleaned, repaired, or replaced, we are here and ready to help. 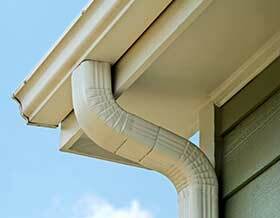 A gutter system redirects water from the roof away from the fascia, soffit, and foundation. This prevents moisture from penetrating the outside of your home and protects your home from costly water damage. Gutter maintenance is important to ensure your gutters are working properly and your home is protected season after season. We install seamless gutter systems with little to no joints. FYour home’s siding not only adds aesthetic value to your house, but it also protects it from the elements. While smaller siding replacement and repair projects can be done on a do-it-yourself basis, it is best to leave full siding replacements to the professionals. Our contractors will work with you to determine which siding type fits your needs, budget, and preferences. It is our goal to help you find siding which complements the architectural style of your home while boosting its value and appeal. For more information about our services, please contact us at 806-352-5649 to reach our office.